The business of solar installation is evolving again like it did in 2008 during the economic shakeup that launched third-party ownership, and before that in 2007 when polysilicon prices created module shortages. Each time, the industry catapulted from the strife with new business models and technologies. Installers who survived these upsets emerged more resilient than ever before. Even with the five-year extension of the solar investment tax credit (ITC), the solar industry faces a new variety of challenges and changes. New competition and business models can upset the businesses of established installation companies. New technology like energy storage and smart home devices can challenge installers’ sales and pricing strategies. At the same time, Oregon installers face significant opportunity provided by the recent endorsement to phase out coal-fired generation by 2030 and boost the state's renewable energy standards to 50% by 2040. But installers also face potential negative changes like challenges to net-metering that could upset long-term customer savings. According to a 2015 national survey by solar marketplace EnergySage, installers are facing a median of 15 different competitors now in many markets. On top of that, the same survey showed customers routinely review at least 2 or 3 bids before making a decision. 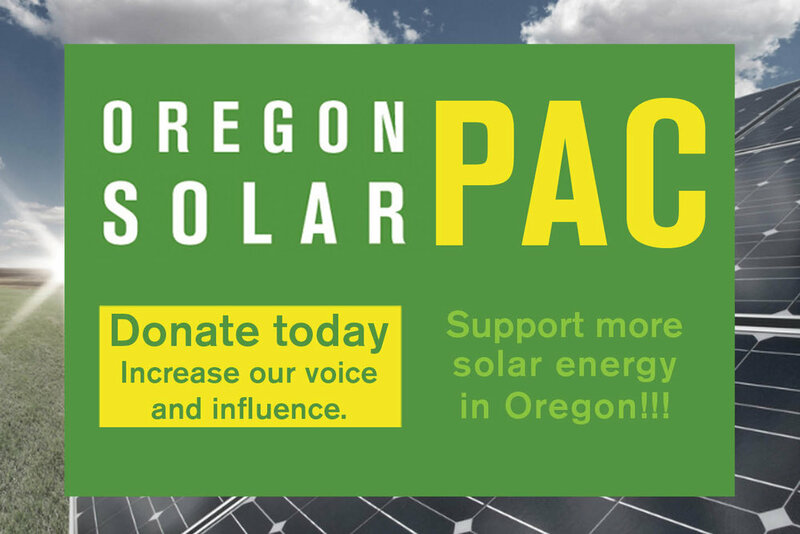 As competition continues to grow in the Oregon solar market, how do you plan to maintain your marketshare? How will you stay competitive and thrive? How will you ensure you have a resilient company that can seize opportunity and weather the storms? It comes down to creating a solid strategy. Join us on Tuesday, May 3rd at the Portland Crown Plaza Hotel in Portland, OR as Energy Trust of Oregon presents the first Solar Trade Ally Contractor Summit. Strategic planning and organizational development is a topic that does not get much airtime in the solar industry. Most focus is placed on developing and honing technical skills like component integration, system design techniques, and workmanship. These skills are essential to the value of any solar professional and thus any solar company. Without them there is nothing to market or position to potential customers and partners. To grow their businesses, installers must have a plan to adapt as the solar industry in Oregon grows and becomes more competitive and as customer demographics change. One common tool used by organizations facing change is strategic planning. Strategic planning is a business development activity that is used to set priorities, focus energy and resources, and ensure that employees and other stakeholders are working toward common goals. It establishes agreement around goals and allows the company to assess - and if necessary adjust - the organization's direction in response to a changing environment. Effective strategic planning determines not only where an organization is going and the actions needed to help it get there, but also the metrics that help determine if your efforts have been successful. On May 3rd, at the upcoming Solar Trade Ally Summit, participants will engage in the strategic planning process and define, in their own words, what success looks like for their business and the steps needed to get there with the support and facilitation of nationally recognized experts specializing in the success of small businesses and experienced working closely with Oregon solar installers. Pamela Cargill, Principal of Chaolysti, will facilitate the program. She specializes in organizational development and operational effectiveness in residential solar and has lead installer success summits and workshops for the past two years. She is applying her decade of experience spanning the entirety of residential solar operations including design engineering, project management and installation, process design/automation, operations strategy, and software planning and integration. Leslie Shiner—author, speaker, and trainer—has more than twenty-five years’ experience working as a financial and management consultant for the construction industry. She is the owner of The ShinerGroup, a consulting firm helping contractors gain financial control. As a business coach, she has worked with both small and large businesses to help them better understand their business practices and maximize their profits. Glenna Wiseman, founder of Identity3, is a marketing and business development expert who has been dedicated to the solar industry since 2007. She works with companies along the solar supply chain from manufacturers to installers, financing entities to O&M providers and across continents to global PV firms. She has fueled growth in start-ups to divisions of Fortune 500 companies. The Solar Trade Ally Contractor Summit is presented by Energy Trust of Oregon and precedes the Oregon Solar Energy Conference. Join us on May 3, 2016 at the Portland Crown Plaza Hotel in Portland, OR. Find out more and register here.